Mohamed Lahouaiej Bouhlel, the driver of the truck that killed at least 84 people in Nice on Thursday, had planned the attack and was busy preparing for it, local media report citing investigators. Bouhlel there might have been referring to the truck he rented, or to the dummy weapons, a deactivated grenade and 7.65mm caliber pistol with which he shot at police during the attack before being shot himself. France-TV reports Bouhlel procured the weapon from two Albanians, who are among 6 people currently in custody in connection with the case. Bouhlel ‘s ex-wife, previously also detained, has been released on Sunday, AFP reports. Another message the attacker sent at 22:27 local time, just before the attack, asks to “bring more weapons, bring it at 5 to C.,” Nice Matin reports, citing a source close to the investigation. The media claim police have been able to trace the person the messages had been addressed to, but do not reveal any further details. Investigators working with Bouhlel’s phone and computer equipment still try to understand if the man was linked to radical Islamists. 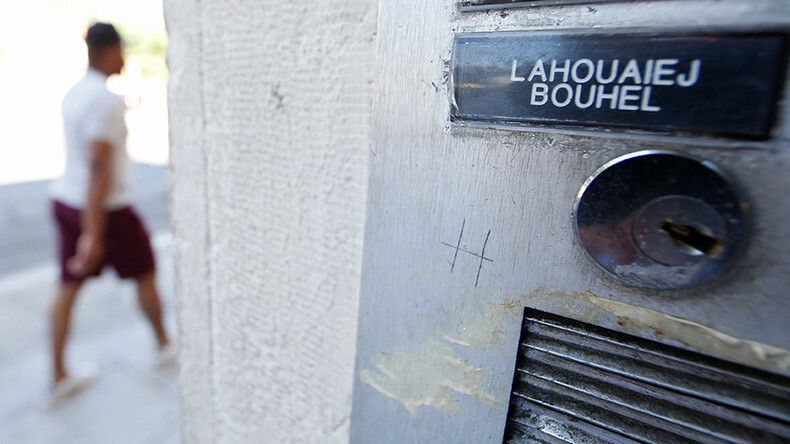 “Some 'interesting' names appeared among his contacts," Le Monde reported, citing sources close to the investigation. Investigators also revealed on Sunday that Bouhlel had been driving around the city in the truck he had rented two days prior to the massacre, allegedly looking for the most effective place to carry out his attack. 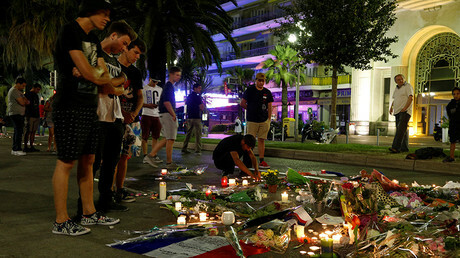 Radio Europe 1 reports that Bouhlel visited the Promenade des Anglais, where the attack eventually took place, twice on July 12 and 13. They claim the man appeared on images of surveillance cameras, attentively examining the area from the truck’s window while driving. AFP confirms this information, citing a judicial source. A police source cited by French Sunday newspaper, Journal du Dimanche, said Bouhlel had "emptied his bank account" a week before the tragedy. According to the same source, the man also "old his car on Wednesday, July 13, the eve of the attack. Reports were circulating in the media and on social networks that Bouhlel was planning to send the money he garnered to his relatives in Tunisia, but these claims were formally denied by a source close to the investigation according to Nice Matin. On Monday, July 11, three days before the slaughter, Bouhlel rented the truck at a car rental agency for professional drivers, located in Saint-Laurent-du-Var, a town neighboring Nice, near the airport Nice-Côte d'Azur, RTL radio reports. The man decided to rent a white refrigerated truck weighing 19 tons, the same one he used to run over 84 people in Nice. The outlet claims he came in person and presented his own ID and license to drive heavyweight vehicles, without arousing the slightest suspicion. Furthermore, the outlet states although Bouhlel picked up the car on July 13, the reservation had been made over a week earlier, on July 4. And while the investigation is still underway and no certain conclusions have been made yet, authorities have no doubts the massacre in Nice was a terror act of a radical Islamist nature. “The investigation will establish the facts, but we know now that the killer was radicalized very quickly,” French Prime Minister Manuel Valls said in remarks published on Sunday.